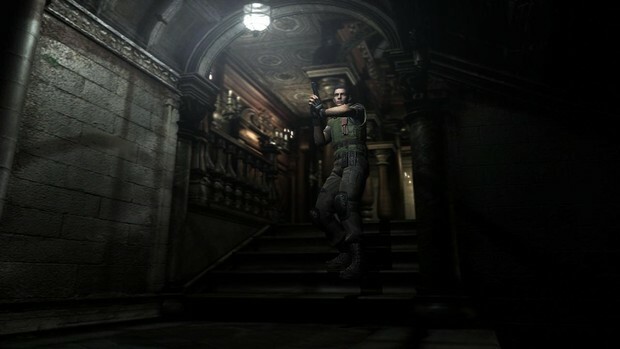 If you're a Survival Horror fan, or indeed a gamer in general, the Resident Evil series will no doubt be familiar to you; it started off by defining an entire genre and grew into a franchise. In recent years though, at least to some fans, it could be said to have lost it's sense of direction somewhat. 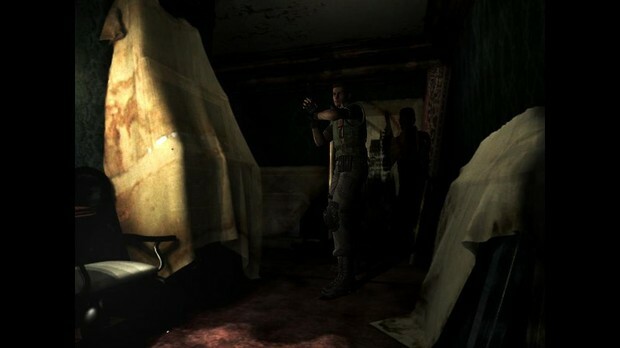 Resident Evil 5 and 6 being a step away from the series' Survival Horror roots and more towards Action Horror. That all began with Resident Evil 4, which itself was a huge leap away from the series' roots. 4 seemed to come at time when Capcom was struggling with itself (again) over where to take the series as a whole. There was a point though, just a few years before that when it seemed like Capcom might be trying to breath new life into that old formula and keep the series going in a Survival Horror direction, with the release of Resident Evil Remake and Resident Evil Zero. Zero was in some respects a remake of a game that never really existed, or at least never got released, a Resident Evil game for the N64 in the model of Resident Evil 2 and 3. 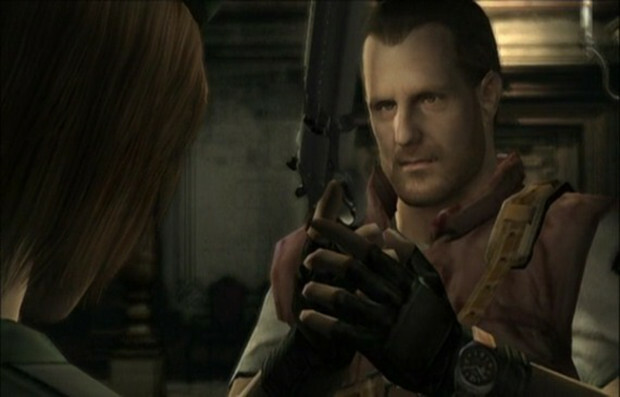 The REmake meanwhile was simply that, a remake of the original Resident Evil. Both are relatively solid examples of what is (at least now) considered an outdated model of game design. 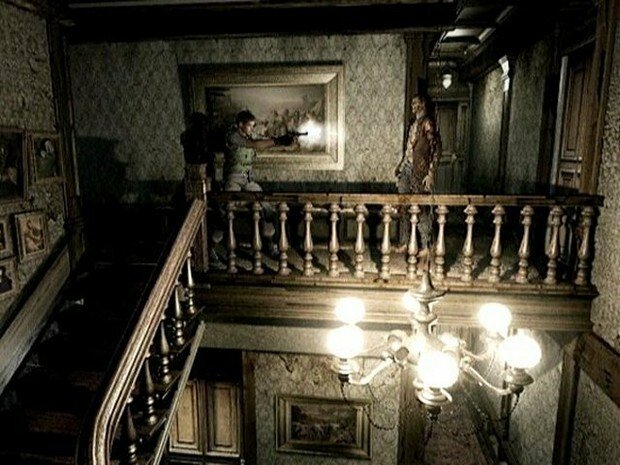 Though I don't think any of this is essential to talking about Resident Evil Remake it does give you an idea of why the remake is the game it is � an odd mix of high-fidelity graphics and old-school mechanics, as Capcom found themselves struggling to decide where they wanted to take the series. And in many respects it's this tension between the old and the new that makes it both such a classic and an ever so slightly flawed game. If you're familiar with the story of the first Resident Evil then the REmake's shouldn't be any surprise: A group of police officers from a paramilitary law-enforcement unit have gone in search of a group of their compatriots who went missing looking into a mysterious murder case in the nearby wooded mountain area, the group stumble upon the remains of a crashed helicopter, are attacked, and retreat inside a nearby mansion, and the game starts from there. 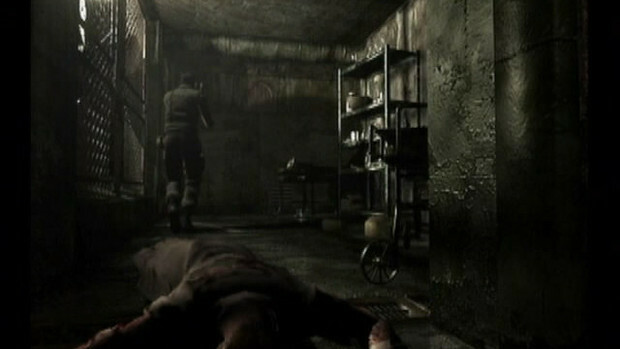 You play one of two characters, Jill Valentine or Chris Redfield, and dependent on who you choose and your actions the game can play out slightly differently as you investigate the mansion, looking for your missing teammates and uncovering more clues to the mysteries hidden within, all the while looking for a way to escape. So what does the game do well? Though the graphics are a lot better I'd argue the biggest improvement, and indeed it's biggest positive, is the tone the better graphics give the game. It seems maybe an odd thing to point out, given that obviously better graphics means potentially a better sense of immersion in general for a game but it'd be easy to overlook how much the overall tone has shifted between the visual style of the original and the remake. After all, later games like Resident Evil 5 and 6 have much better graphics, but that doesn't necessarily mean the tone of those graphics adds much to the atmosphere the game creates. I've talked about this before when talking about the differences that colour, light and dark, and the state of rooms can have on the player's experience of a place and the difference between the two games is a perfect example of this. 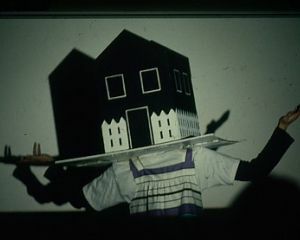 The Remake has an overall much darker tone, it's a dark night, things are very still, very silent, many of the rooms are decrepit - rotting floorboards, covered with dust, cluttered with junk and personal items. None of which is really in the original. Why does this matter? Horror relies to a large degree on atmosphere, and though it often doesn't get talked about too much, atmosphere is contingent on how we feel about where we are. 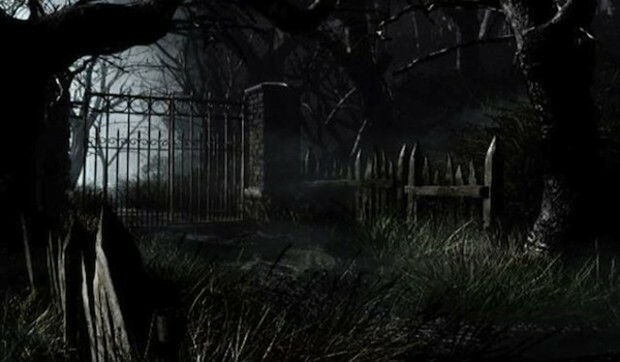 In some respects it's a measure of how comfortable we are in a space or location, though it's taken to the extreme in horror-related entertainment that sense of 'atmosphere' is something we use in everyday life as well, whenever we step into a room or step outside we're making snap assessments of the place we're in. Though real-life usually never reaches the same level of discomfort that games and movies intentionally aim for there are obviously plenty of subtle visual clues that we look for anywhere we go to confirm it's safe and feel comfortable there. There's a certain atmosphere we want so we can feel comfortable, and there's things we look for � well-lit areas, sunlight, bright colours and decorations, personal items, people, a sense of occupancy; and then there are the things we don't want to see � the dark, shadows, the night, grey, colourless environments, decay, signs of disease, death, signs of past occupancy with no occupants. What the REmake does so well, much like a good horror movie would, is to capitalise on this awareness of our surroundings; the original did it to a certain degree � indeed anything intended to scare does, but the REmake takes it to the logical extreme. When you think about it the mansion is this bizarre mix of decay, past occupancy and darkened spaces. The building itself seems very cold, very sterile in places, it also feels sort of old, outdated, as if it's a forgotten relic of another age (and being an antique mansion that would make sense); but then as you explore you repeatedly come across signs of life, little tokens that make it obvious other people were here up until not too long ago and somehow it doesn't quite feel right. I'll admit I don't think the REmake pushes atmosphere in the same way as say Silent Hill 2 does, or Siren: Blood Curse, it's principally subtler, less intended to outright scare you and more intended to just make you feel uncomfortable but it's there all the same. Whereas for the original the mansion was just a location for events the REmake makes the mansion part of those events, and a big part of telling the story of what happened there � the decay, the discarded personal items, the sense that somebody was here only moments ago, it's all part of that. It's also worth noting that even today the visuals hold up quite well � though the pre-rendered backdrops are showing their age a little. All things considered though the game is still pretty easy on the eyes. Speaking more generally about atmosphere I think it's also worth noting how good the sound, or lack of, is at times. 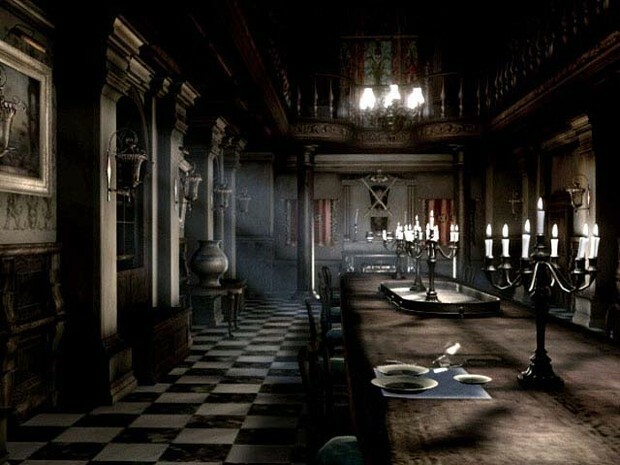 Much of the early game is spent wandering round the seemingly empty mansion, in almost complete silence, with only the padded footsteps of your character and environmental sounds for company. At one point you pass a shattered mirror in an upstairs corridor and as you do so glass crunches under foot; in the dining room all is quiet save for the roaring fire in the corner, the ticking grandfather clock and the odd strike of thunder; you'll walk down silent corridors only to hear a low groan and something shamble forward off-screen, anticipating the danger that's ahead of you. Though music does become more important as the game progresses, given the fixed viewpoint and the added danger that potentially creates for you (i.e. not being able to see wtf is about to attack you), sound is always very important in the game, you listen for the breathing of Hunters, the shrill battle cry as one prepares to charge you or lunge at you, the thudding of it's feet across the carpet as it races towards you. Like with the visual elements it's obvious a lot of effort has been put into making the sound work, and making the sound contribute to the atmosphere. Though the game is essentially very simple in terms of mechanics � 'solve puzzles, shoot monsters in the face, win' it's arguably the atmosphere and the overall design that makes it work so well. So what doesn't the game do so well? Let's start with the obvious one: Tank Controls. While the REmake and RE:0 and to some extent 3 and Code Veronica all attempted to improve the controls a little there's no getting away from the fact that the early Resident Evil games had terribly awkward controls, you moved like a tank, it was slow, it was cumbersome, and even with the introduction of the quick-turn ability it sort of held the experience back. In some respects it helped keep the pace of the games slow, but it also created an unrealistic sense of control at the same time � since people don't have to turn on the spot in real-life. 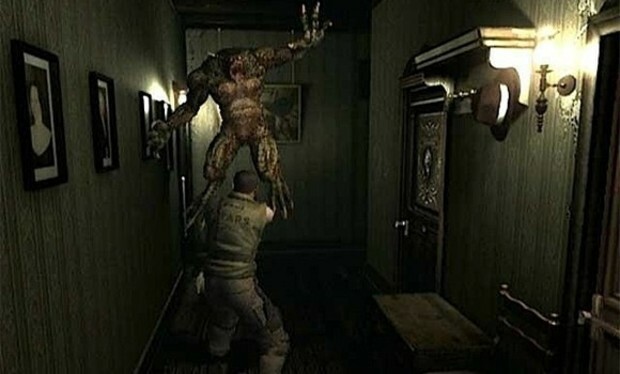 The REmake has this same problem, though I'd argue it isn't as apparent as in RE:0 � which actually has a fair few enemies that practically break the control system, it still suffers from it � especially in the later stages of the game with enemies like the Hunters or the Chimera that can get in-between your moves and do a lot of damage. Obviously to a certain extent this is intentional, the danger those two creatures present is in part because of their speed and strength relative to the player � in short they're supposed to be faster than you to pose a proper threat, but even so the control system doesn't really help much. It's one thing to be killed because you were too slow to pull the trigger of your shotgun, it's another when you're killed because it takes you twenty minutes just to turn on the spot to dodge an attack. Another thing that ties into this sense that the control system is pretty out-dated is the pre-rendered backdrops and fixed viewpoints. Though arguably the pre-rendered backdrops are very pretty, having them means the viewpoint is always fixed in a certain way. Now this isn't necessarily a problem when you're just searching a room (though it can make seeing items more of a hassle) it does become a problem when you're fighting monsters. In what is supposed to be a Survival Horror game. Arguably you'd have to be playing something pretty slow-paced, like a Horror game, in the first place to be ok with tank controls and fixed viewpoints, but it's the fact the game is supposed to be all about survival and marshalling supplies that makes the fixed viewpoints so frustrating. As with the tank controls, it's one thing to die because you're too slow to press a button, it's another to die because you can't see what's attacking you. It's also worth noting that it craps up the immersion to a certain extent, you're supposed to be one of these characters after all, and surviving as them, and yet you can't do something as simple as looking at what's in front of you. It's counter-intuitive in a lot of respects as well, especially given that the Resident Evil games are in part about action and excitement as well as zombies, monsters and horror in general, and what sort of action hero can't see in front of them? In a lot of respects this is the REmake's greatest principal flaw: The fact it keeps to such old-fashioned mechanics and elements of game design makes it feel, if not jarring, then at least muddled at times, given the huge leaps towards realism that have been made in every other department when it comes to game design. 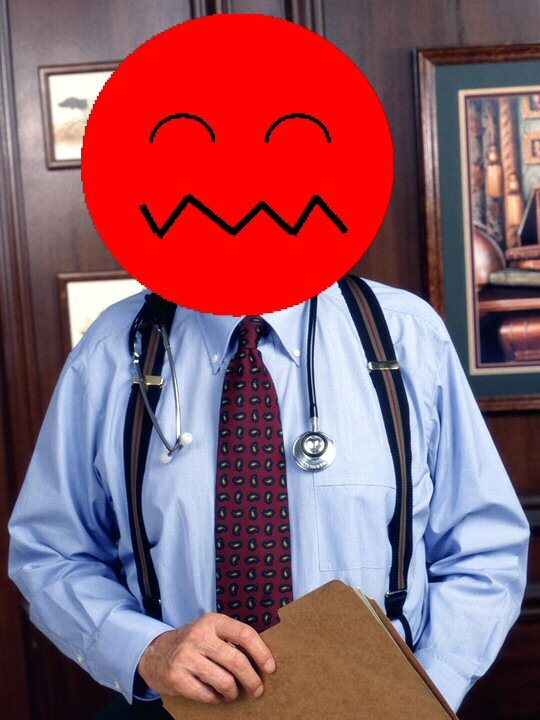 Being able to see ahead of you is pretty basic, and even though games started off as often based around very arbitrary, very unfair rules we have in general moved towards a certain degree of common sense in game-design, and the REmake stands as an example of a game that in some respects adheres to some of the more unfair aspects of early game design. Which isn't to say I�m against fixed viewpoints or the benefits of having them plus pre-rendered backdrops (which can sometimes look a lot better than 3D environments), just that I think developers should always be aware of what they're compromising when they choose to use them, and perhaps only use fixed viewpoints for effect at certain points in a game, and always make sure that they never hinder combat or exploration. In the end I think the REmake is a classic and an all-round very enjoyable game, though one that does shoot itself in the foot a little with certain mechanics and elements of game design. Even as somebody who grew up playing games which used a lot of the same mechanics that the REmake relies on I still find it frustrating at times so I can imagine it's not something modern audiences would find easy to get into. That said, it's an excellent example of how atmosphere and action can go hand-in hand-to make an enjoyable Survival Horror experience, it's also a really good example of a game being remade and completely improved upon in doing so.